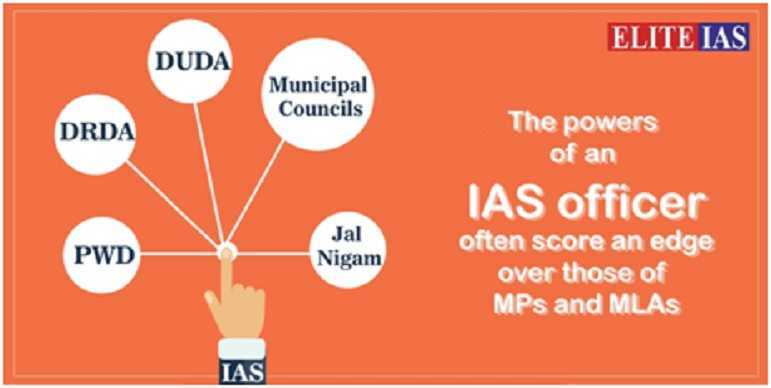 A considerable number of prominent positions are held by the IAS officers in the Union government. Besides, the state governments and even the government owned PSUs form no exception. 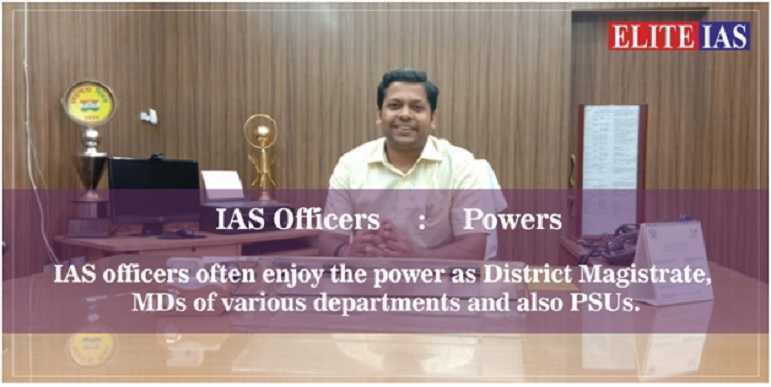 It obviously implies that the IAS officers enjoy tremendous powers. Of course, there are various duties and responsibilities as well. Indian Administrative Services are highly coveted by the Indian youth. Besides taking care of the administrative functions, IAS officer is supposed to look into the implementation of the government’s developmental policies. Management of govt. affairs, implementation of its policies and the upkeep of infrastructure obviously requires resources and funds that are made available and disbursed by the IAS officers. Besides, as IAS officer may be questioned (if required concerning the funds) by the Parliament. Besides, the IAS officers is held answerable to the legislatures of the states concerned. They are asked to provide details concerning the funds. Thus there should be absolutely no irregularities in the fund management. At the levels of the sub-divisions and the districts: At the level of the sub-division, IAS officer is posted as the magistrate. The district level encompasses the posts of the Magistrate or Collector or Commissioner. The powers and responsibilities at the district level, however, are the same as those at the sub-divisional level. State Level: The District magistrates are promoted further as bureaucrats either at the secretariat or as the departments heads. PSUs: A number of IAS officers hold prominent positions looking after the administration in the government owned PSUs. Note – All these posts may form a part of different departments or the ministries in the central government. The power enjoyed by IAS officer makes Indians covet IAS more than the IPS and IRS. Though a politician’s career may suffer a setback, if the poll results do not favour him, it is not the case with IAS officer. He is provided with a prestigious job, a car with a chauffeur, a bungalow and also footmen waiting on him. Besides, the bungalow that is provided to IAS officer is a luxurious accommodation at an extremely low rent. There are various domestic helps. Govt. cars holding red lights. Electricity free of cost and no payment by the IAS officer for the telephone bills. Whenever IAS officer is supposed to travel on duty, govt. accommodations and rest houses are kept ready to receive them before their arrival. The job security enjoyed by IAS officer is almost supreme as it is not easy even to get IAS officers sacked, not even by a minister. IAS officer is allowed to avail study leave for 2 to 4 years at a foreign university at the cost of government. Needless to say, IAS officer is provided with the retirement benefits including pension for life. It would not be improper to say that the perks, prestige and the power enjoyed by an IAS office is almost peerless and unmatched even by a prestigious private sector employee. But it is not entirely a rosy picture. As already said earlier, there is a flipside to the coin. With the power, comes the responsibility. Formation (besides, implementation) of govt. policies – Though it has been stated above that IAS officer is supposed to effectively implement the govt. policies, it must not be forgotten that any policy including a govt. policy needs to be formulated before being implemented. In a ministry, IAS officer also plays a role in the formation of a policy. Fund management – As it has already been mentioned earlier, IAS officer is not only required to manage funds for the implementation of govt. policies, but he is also answerable to Parliament and the state legislature. Thus, the allotment of funds by the field officers in a ministry is to be supervised by the IAS officer. Besides, IAS officer must be ready with all the information whenever he is asked to provide the same. Thus it is no wonder that during the times when Parliament is in session, IAS officer is working almost round the clock so that he is ready whatever details he is asked for! 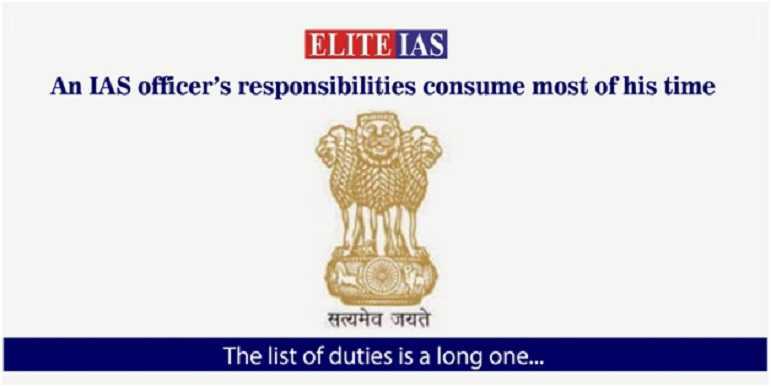 Multiple types of duties – IAS officer, apart from working under pressure, has to fulfill a vast range of duties and is held responsible for various tasks. At times, IAS officer is required to visit various states. Besides, quite a few of the Public Sector Corporations, include IAS officers (if allowed by their rank) as government nominees in Board of Directors. IAS officer, at times, is also nominated to represent India at International forums either independently or accompany a Minister for similar meetings. IAS officer can also sign international agreements on behalf of the Government of India, provided he holds the rank of Deputy Secretary to the Government of India. Thus it should be noted that IAS officer may be required to function in the capacity of a sub magistrate. developmental functions (as assigned), etc. It must be noted that the nature of IAS officer’s duties as an SDM are not very different from those of a sub magistrate. Managing Director of a Public Sector Unit or a Senior officer in the State Secretariat. The point to be noted is that though it implies that IAS officer might be a DM during the fifth year and continue to be so till the 17th year when he is promoted to the Super Time Scale, the rank in the State Secretariat differs from State to State. A brighter light may be thrown on what has been stated above by means of an example. IAS officers in the Junior Administrative Grade are promoted as Secretaries in Jammu and Kashmir. But it is not so in all of the states where IAS officer gets promoted as the Secretary to the State government only when he reaches the Selection Grade. What is uniform in all the states is that all of the officers in the Super Time Scale are either Secretaries or the Divisional Commissioners. Promotions that follow lie in scale to the ranks of Principal Secretary and Additional Chief Secretary. The highest post in the State is that of the Chief Secretary. First of all, a DM’s supremacy over that of an MP or MLA may be assessed by the basic fact that all Indian districts are bigger both in terms of area and population. Usually a district comprises legislative assemblies that fall in between 3-10 and either 1 or 2 parliamentary constituencies. however, in the case of Members of Parliament and also those of the Legislative Assemblies, MPLADS as well as MLALADS allow them the power to sanction funds only upto 5 crores and just 2 crores respectively. Besides even these amounts for the constituencies are sanctioned after the permission is granted by the DM. Discretionary Powers – MLAs and MPs either pass or reject bills in state assemblies and Parliament. They do not enjoy any discretionary power or any other power for that matter. Besides, a DM can conduct the revenue courts. Tenure – The number of years IAS officer serves are 35 – 40 years. But the MPs and MLAs are re-elected during every election for their next term. So far, so good! But we must not forget that the IAS officers are answerable to the Parliament and also the state legislature whereas the MPs and the MLAs are answerable to the public who has voted for them. The recommendations made by the 7th Pay Commissions were approved by the Cabinet on 29th June, 2016. The basic pay is hiked by 14.27%. The annual increment continues to be 3%. The basic pay for all Civil Servants (Group A) is same (Pay Level 10). The basic salary of a junior level IAS officer is Rs. 56100 that is be incremented by means of annual increments. The basic salary of a Cabinet Secretary is fixed to be Rs. 2,50,000. Apart from the salary, it is because of the powers enjoyed by IAS officer that makes the Indian Administrative Services highly coveted. No wonder, IAS is the most coveted civil service, the others being IPS, IFS and IRS. 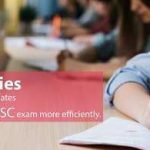 For Detail Information Please Contact to Elite IAS – Best IAS Coaching in Delhifor UPSC Exam preparation.